Conceptual or working knowledge of Scrum SDLC is preferred. 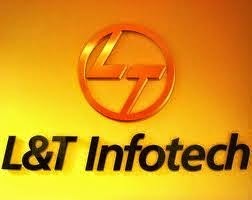 L & T Infotech, one of the fastest growing IT Services companies, is a part of USD 12.8 billion Larsen & Toubro, India's "Best Managed Company" with presence in engineering, manufacturing and financial services. Ranked by NASSCOM as 9th largest software & services exporter from India and among the top 20 IT BPO Employers in 2010-2011, we offer end-to-end technology solutions and services in: BFSI, Energy & petrochemicals, Manufacturing and Product engineering services (telecom). At L&T Infotech, our horizon is filled with the promise of cutting edge offerings including end-to-end cloud computing adoption toolkit and cloud advisory services; enterprise mobility solutions and a smart access platform.